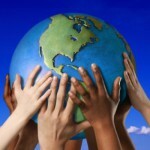 Welcome to the 26th Annual SAB Environmental Media and Environmentalist of the Year Awards. The SAB Environmental Media Awards seek out to continuously acknowledge and recognise the work of dedicated members of the South African Environmental Media who excel in their reportage of all current environmental matters. Over the last few years, SAB has made a commitment to keep these awards in line with best global practice, listening in earnest to the feedback received from the environment media in South Africa at large and ensuring the Awards are reflective of both the local and global media landscape. 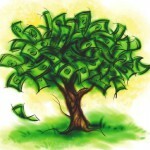 This approach to evolving the competition continued this year with a call to revisit the awards categories, based primarily on the increase of the digital media space. After consulting with thought leaders, influencers, our judges and other members of the media, we have decided to review and revise these categories. The Macqubu Ntombela and Ian Player Cub Award for environmental journalists with less than two years’ experience in the Industry. Nick Steele Memorial Award for the Environmentalist of the Year. 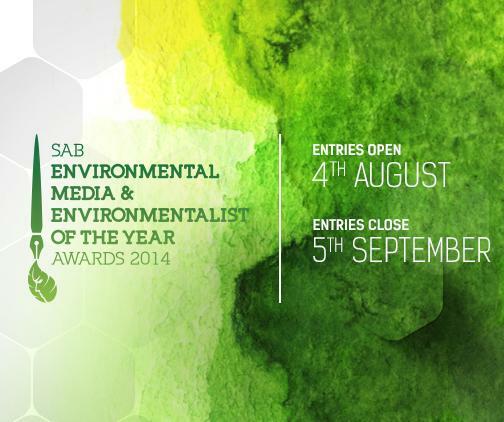 Entrants for the SAB Environmental Media Awards and Environmentalist of the Year 2013 should submit work produced between 1st September 2013 and 31st August 2014. Please Note: You need to register to either enter the SAB Environmental Media Awards or nominate someone for the SAB Environmentalist of the Year 2013. Entries open at 08:00 on Monday 4th August 2014 and close at 17:00 on Friday, 5th September 2014. Winners will be announced at an awards luncheon on Wednesday, 22nd October at the Country Club of Johannesburg.